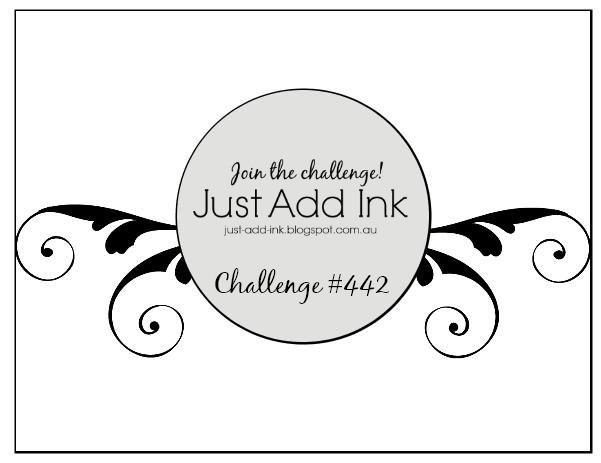 My Sandbox: Just Add Ink #442...Sketch! 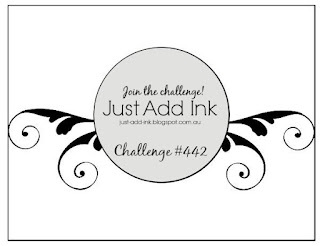 We have another great challenge happening over at Just Add Ink and this week Kim has challenged us all to create a project using this lovely sketch! I always enjoy a good sketch challenge, as it allows lots of freedom to use whatever l like product wise, but gives me a great starting point. For my project this week l have combined the sketch with the lovely new "Wonderful Romance" bundle and teamed it up with lots of Mossy Meadow and a smidge of Mango Melody! I've used Stampin Blends for colouring and another fave, the Corrugated Dynamic Impressions Embossing Folder...Still available on the carry over list and l've also added some of the sweet "Butterfly Elements" from the SAB freebies! 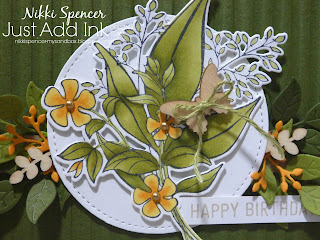 Simply beautiful card! Loving all the green details! Oh my, I think this is the most beautiful card I have seen all year! Nice Work. The word 'lush' comes to mind when I look at your card. The dark background sets off the rest of the card so beautifully. Love it! This would make a really beautiful botanical framed piece, Nikki. It has so much texture & lovely details. Really lovely. 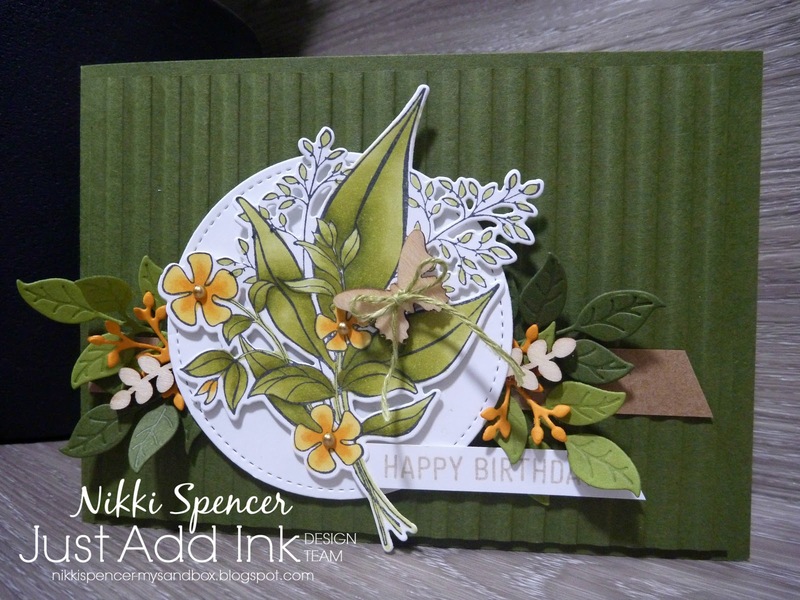 Really Lovely card, Nikki! Very inspiring!